Acne is most common during the teenage years and puberty, though it can strike at any time of life, even after age 40. With acne after 40, your treatment strategy must change. You must take older skin into account with a gentler approach. 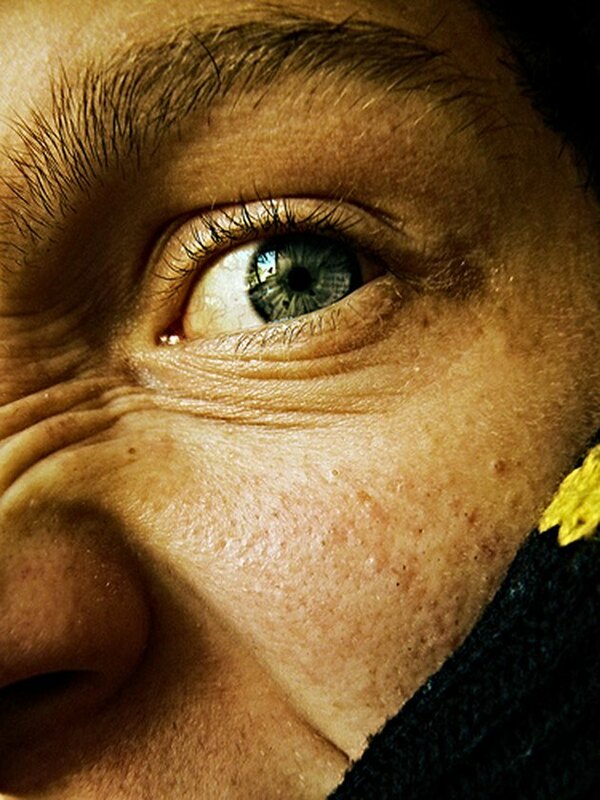 Acne occurs when a pore is blocked off partially or fully by a combination of oil and dead skin cells. This can appear in a variety of forms. It can be as mild as a small blemish here and there or covering your entire face in cysts. People over 40 can have numerous types of acne: blackheads, whiteheads, nodules or cysts. Blackheads occur when pigment cells get trapped in a pore by dead skin and oil, leaving a black or brown collection of material. Whiteheads are small blemishes filled with pus that might be red if inflamed. Nodules are hard to the touch and often have to be removed by a dermatologist. Cysts are very severe and can be large. If left untreated, they will likely scar. 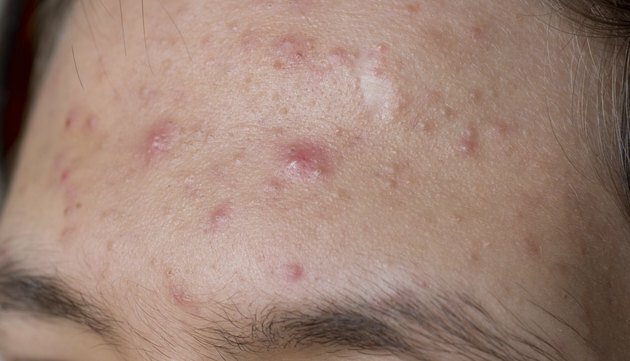 Acne is characterized by a variety of identifying markers such as skin irritation, redness, bumps and lesions. Many times, treatments causes peeling of your skin--even on extra-oily spots such as the nose, forehead and chin. 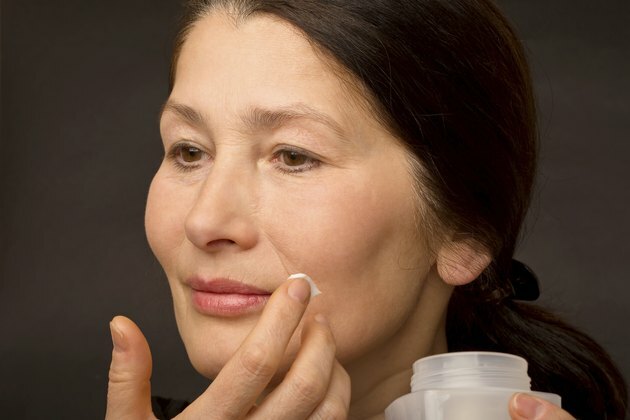 Treating acne over 40 requires an acknowledgment of how your skin has changed over time and the need to control your breakouts without over-drying. Though not unheard of, acne is more uncommon in those over 40, which can make you feel a bit strange in workplace and social situations. You might feel as though your blemishes are all anyone can see on your face. For some, this is enough to make them avoid social situations altogether. Acne treatments for people over 40 include all of the same go-to options as teens use, such as benzoyl peroxide and salicylic acid. However, you'll need to take extra care when using these products. 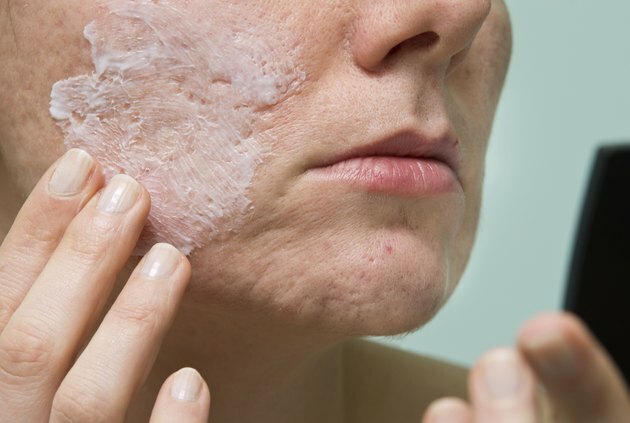 For instance, if you use benzoyl peroxide to treat your acne over the counter, use a moisturizer right afterward to prevent peeling and over-drying of your older skin. Prescription medications such as antibiotics, Retin-A, Differin and Accutane are also sometimes used, though drug interactions and side effects should be monitored closely to prevent damage to your more sensitive skin.